We recently took part in the be2camp ‘unconference’ in London. 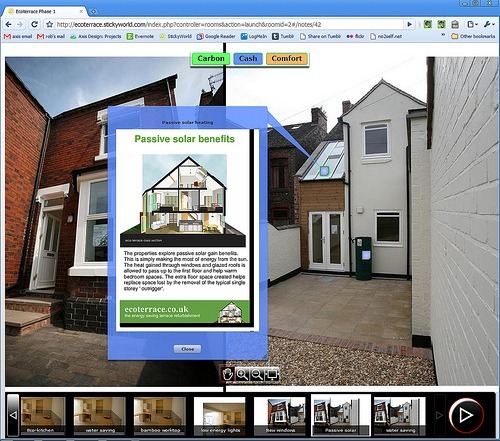 The aim of the day was to discuss and share ideas about how ‘web 2.0’ or social media tools on the internet can be used by the built environment. Along with Micheal Kohn from Slider Studio we presented our first images on the development work we’re doing to create a virtual consultation tool that will allow residents to see the proposals for their neighbourhood in 3D. 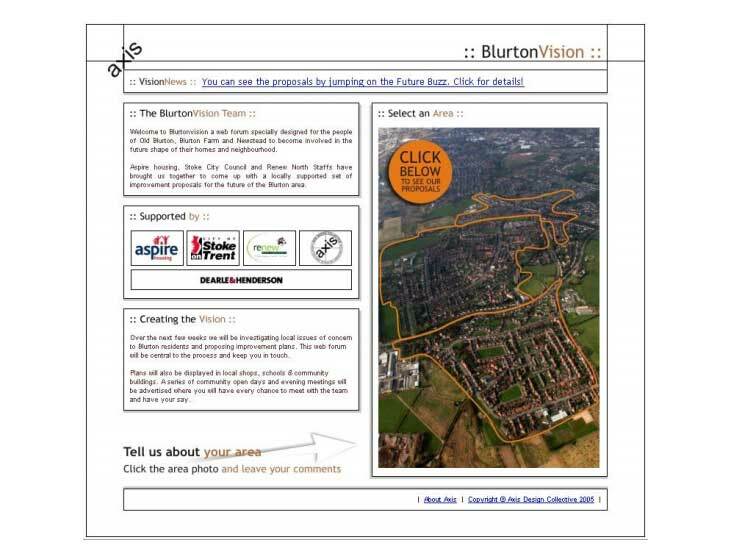 Users of the software will be able to walk around a model of their streets, see options and comment on the ideas. The be2camp event was a huge success and we’re looking forward to developing a similar forum in the Midlands. A video presentation and a copy of the slides are available on the be2camp web page. 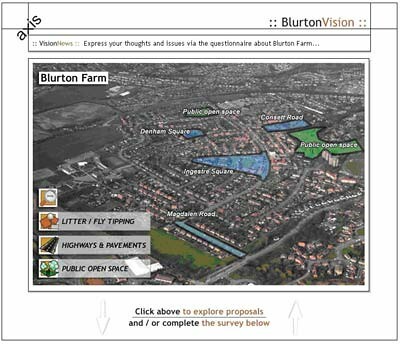 A summary document outlining the work completed in Blurton and Normacot using online consultation techniques is now available. We will make some computers available for people to explore the sites during their visit on ‘Open Practice’ day. By including the use of the internet we were able to increase the numbers of consultations, ensure that the process was as transparent as possible and provide another opportunity for hard to reach groups to view the proposals. Although the level of computer ownership in the area is unknown, our view is that as the cost of computer hardware continues to tumble it is incumbent on us to begin to explore online consultation techniques. 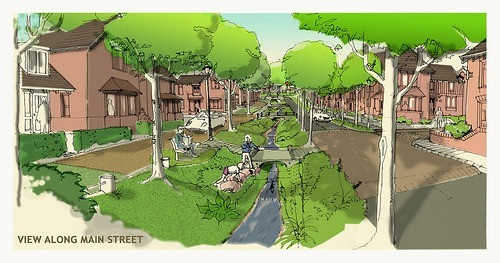 Axis design were appointed by the Coalville Partnership in January 2004 after winning the competitive tender for the remodelling of the estate consisting of 400 coal board houses dating from the 1950’s. Axis undertook a programme of intensive community consultation with local residents which included setting up a dedicated residents website and running a neighbourhood office on the estate, along with open days and regular newsletters.